Michael Marten of London, England has produced Sea Change, a series of color prints documenting the natural process in action, landscape in motion. 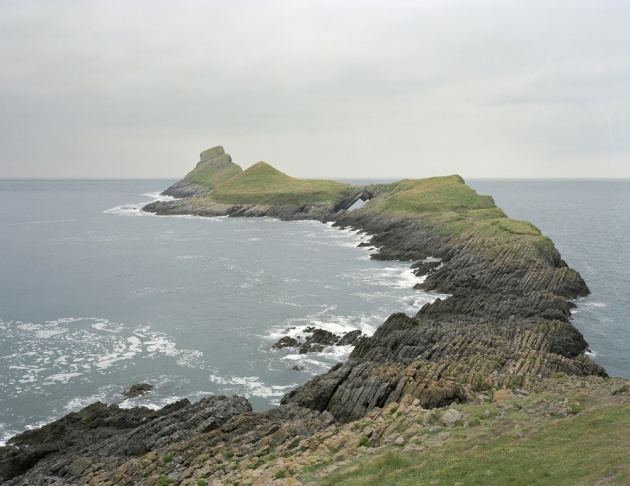 Photographing the coastline of Britain, Marten’s camera captures an entire day of shifting tides revealing landscapes ranging from saltmarsh to white chalk cliffs, muddy estuary to jurassic shoreline. His diptychs of low and high tide illustrate the twice daily transformation of the coastline and enable us to comprehend simultaneously two moments in time, two states of nature.